The 2018 Adventure Racing World Championships will be under in exactly 24-hours from the time of writing. The venue for this years monumental event is Reunion Island, situated in the Indian Ocean to the east of Madagascar. The island is a French colony and the race is organised by the Raid In France event management team, who also organised the 2012 World Championships in Europe. Réunion Island is known for its volcanic, rain forested interior, coral reefs and beaches. Its most iconic landmark is Piton de la Fournaise, a climbable active volcano standing 2,632 metres. 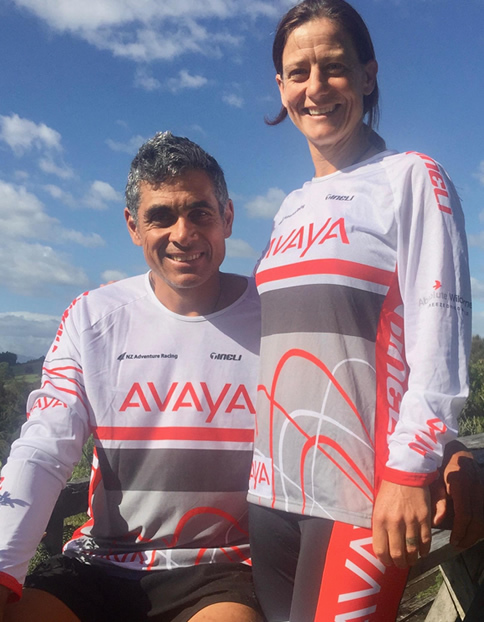 We are racing with the number 1 race bib, as defending World Champions from having won the 2014-2017 world titles as team Seagate, for 2018 we have a different team from 2017 and a new sponsor, Avaya. The regular team members and ace navigators Chris Forne and Stu Lynch are competing with Fleur Pawsey and myself joining them. I didn’t race in 2017 but captained the Seagate team at the World Champs from 2011-2017. Fleur only joined the team a few months ago when Jo Williams injured herself skiing. Fleur is an experienced adventure racer and a good friend so she has blended into the team seamlessly. We arrived in Reunion three days ago and have enjoyed a relaxing few days preparing our gear and adjusting to the time zone and climate. Other than a few shorts walks to the local store, we have spent our time at the resort getting race ready, jogging on the beach and soaking in the warm ocean waters, I have to admit it has been a nice holiday ahead of the competition. The course measures 425km with a winning time aimed at 120-hours. Our first impressions of the course is that it has a very difficult start with a long hiking stage that goes to 3000-metres. 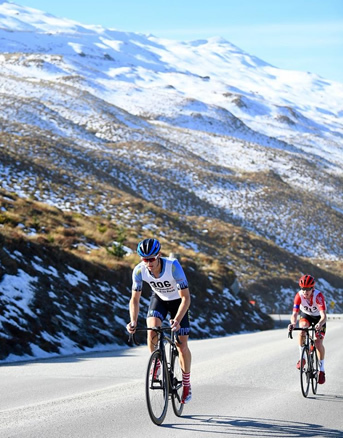 That distance combined with the climb and climate means the first few days will be quite gruelling, but after that the course is busy with lots of technical elements and changes of discipline. It feels to us that the course will require some very smart tactical strategies to complete it efficiently. Overall it looks like an excellent way to explore the Island and we’re looking forward to leaving the resort and having a look around. We’re expecting it to be a fun time with our team as we spend the next 4-5 days on course. Our only concern at this stage is there appears to be some very dry areas on the Island and finding enough suitable drinking water could be difficult at times. The pack rafting stage sounds exciting with some white water to enjoy. Much of the biking we’re told is in sugar cane plantations, which we suspect will have some interesting navigation, especially at night. Overall we are in good shape and ready to race, we have trained well and everyone is healthy. We are the race favourite it seems which isn’t surprising, but that means very little to us. Each race is a new race with all the same obstacles standing between the start and finish lines. The World Champs always has a highly competitive field and this year is no different. We have the upmost respect for the other teams and complacency is never something we do. We know to succeed in this race we need to work hard, race intelligently and extract our best possible performance, anything less will mean we will be down the rankings. We’ll be focusing on looking after each and getting through each stage the best we can, and doing our best to enjoy the experience to the maximum. On a personal note, my Father passed away a few months ago and he was an avid follower of my sporting career, being a sportsman himself. I will dedicate this race to him which means I’ll make time to reflect on the times we had together and lessons he taught me. He was from Samoa and my childhood memory of being with him in the Islands was coconuts trees, Reunion has coconut trees which are hugely symbolic in our relationship, they will the talisman for me in this race, the connection to my Dad. Thank you all for your support and making your contribution to allow us to be here and embarking on what we are about to do, we feel extremely lucky.